Do you think it’s possible to replicate our much celebrated cinnamon rolls, Swedish pancakes, roast duck or one of our delectable pies at home? We don’t think so, either, but we are giving you the opportunity to try. 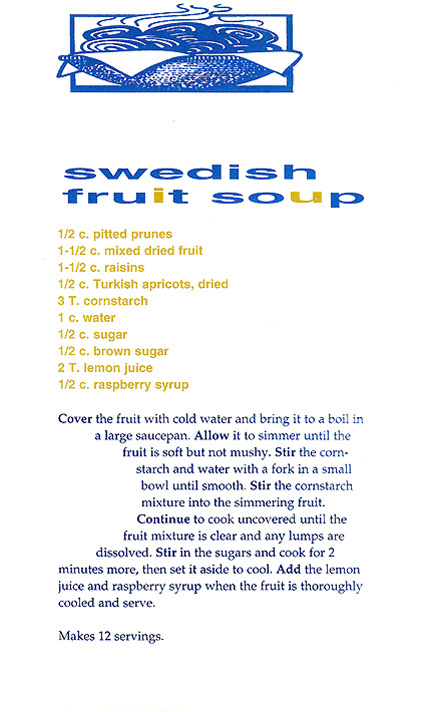 In 1994, Ann Sather’s restaurants published a 50th anniversary cookbook. Due to popular demand, we now have recipes for some of our much-loved dishes available online. Download the recipes for your favorite menu items below and get cooking! Click on any of the following categories to download the mouth watering recipe of your choice.